[I will absolutely not raise the love flag, never….! ! ] The protected genius of the country(= outstanding)+ the strangely beautiful >> fierce negative elements and also were called the supreme in this country. The text flow is really hard to get a feeling from. Its not engaging at all and the world, human relations, politics are missing. Its like reading a resumes of chapters instead of the actual story. Very very confusing and hard to understand. It's probably because of a combination of both poor translation and bad writing by the author. Actually the translations might've been ok if it was some other novel and had some editing or even proofreading by the translator. The obligatory magic explanation chapter is a good example. Best to skip that chapter. All I got out of all that was MC's magic is based on imagination and is different from others in that world. But the Magician is the most Abnormal of all. Except maybe the Author. The translation is not the best, and the way it's written often devolves into script-fic territory. But the setting is kept interesting, and it manages to dodge some of the genre cliches. It's non-s*xual Josei Action. (It's labeled Shoujo, but the tone is light Josei). I really don't understand the translations and texts don't flow right. It would be a shame if the story is good but butchered by the translator. I haven't tried reading the raws, but with how the translations don't inspire interest, I don't think I ever will. The story seems interesting. The MC has an unusual personality and is nothing like a typical shoujo female lead. However I think there's something fundamental missing from the writing itself. The flow of events could at best be choppy. The author seems to be an amateur at writing. The translation is alright but it might just be because the writing isn't top notch. It is hard to grasp what is happening. Even though it's been many chapters already I am still not quite sure what I have read. The premise actually really interesting, the MC perspective like everyone else than his teacher is creep, most of time she's doing inner monologue. 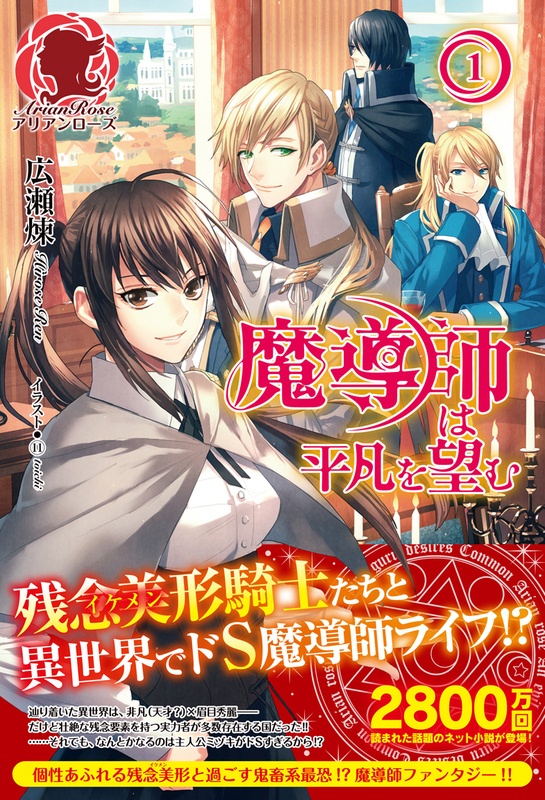 However, the plot and the writing feel too forced and so bad, its like reading MTL, you get the general idea but you doesnt really know what happen and why this is happen, except the novel well translated. Most of time im reading this are skimming arround and im still get thing what happen, even if I do read correctly im unable to understand... more>> fully what happened. I do like the idea, but the writing really make me uncomfortable. typical world where nobles are gods and the plebs are ants, the mc's way of dealing with things is amusing, the translation can use a few cleaning but overall its a good story.